Despite a rocky start, strong final rounds from some of their experienced golfers allowed the Bears to defend their second-place standing at the Pasatiempo Golf Club in Santa Cruz. After this tournament, Cal now has one last event before the Pac-12 Championships and NCAA regionals. With a dedicated group of graduating seniors as well as new talent, the Bears hope to avoid a repeat of last season which ended in disappointment, as they failed to qualify for the NCAA Championships. Cal bounced back in the final round, led by Morikawa and sophomore Kaiwen Liu. Morikawa had the fourth-best round of the day, finishing at 4-under for the day, and Liu recorded a 2-under. These scores vaulted the Bears into fifth place overall, only one shot behind No. 18 Texas Tech. Coming into this tournament, the Bears had a great deal of confidence. This was their second tournament of the month in Southern California, and coming off back-to-back victories, the team understood the game plan it needed to follow in order to win. 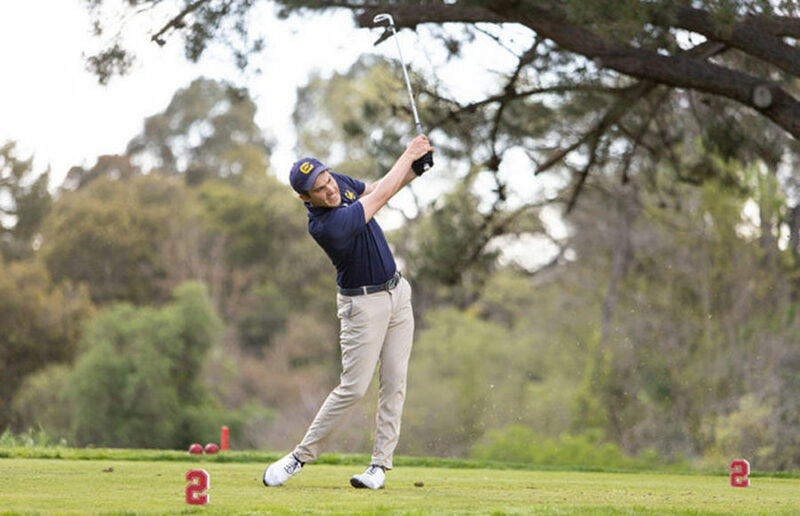 The Cal men’s golf team has now won two straight tournaments, with two different players capturing individual medalist honors, and their season seems to finally be heading in the right direction. The Bears hope to keep on rolling as they take on some tougher competition this week at the Southwestern Invitational. After closing out an up-and-down fall season with a win, the Cal men’s golf team is looking to come back swinging Monday and Tuesday at its first tournament of 2019: the Farms Collegiate Invitational, hosted by the University of San Diego. This is the first time in his career that Crampton received this honor, and the Ka’anapali Classic was the first time he was an outright winner at an invitational. As of Nov. 11, four high school seniors have signed national letters of intent to join the Cal men’s golf team starting August 2019. A particular focus for the team was recruiting golfers who excelled in their schoolwork as well as in their golf. The Ka’anapali Classic was the turning point of the fall season. For the first time, the Bears had a complete lineup with freshman James Song, redshirt junior Jamie Cheatham, redshirt senior K.K. Limbhasut, Crampton and Morikawa.